ITT transformed from an $11 billion institution to a $2.5 billion company. The shift challenged Lori Marino and her committed team to help reshape the legal department—and redefine the meaning of teamwork. It wasn’t the first time ITT reinvented itself. Throughout its near century-long history, the storied manufacturing corporation has undergone many seismic shifts in structure and culture—so much so that the CEO likes to refer to ITT’s most recent evolution as a one hundred-year-old start-up. This occurred in late 2011, when ITT split into three companies. Its water business became a publicly traded company titled Xylem Inc. Its defense business was spun out into a publicly traded company called Exelis Inc. (now part of Harris Corporation). The legacy of ITT itself remained, but it was the smallest of the three public companies. And getting smaller was no small task. 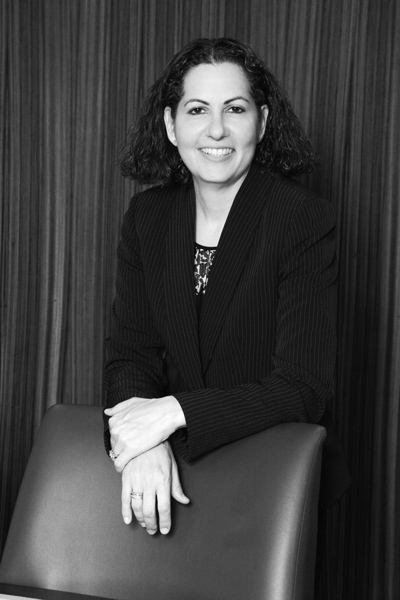 Just ask Lori Marino, vice president, deputy general counsel, and corporate secretary. Marino came to ITT in late 2013, about two years after the spin-offs. Prior to that, she was the head of the corporate group at Medco Health Solutions (where her final M&A deal was the sale of Medco to one of its competitors) and spent almost five years at Cravath, where she learned skills, savvy, flexibility, and adaptability that would later prove crucial. She started at ITT as the corporate secretary in what was described as a traditional corporate and securities role. But it quickly morphed into something different. As Marino came into the company, ITT was still evolving post-spin, and the general counsel who hired her left a mere ten weeks after she had started the job. An interim general counsel was appointed to hold the role for three months before her current general counsel, Mary Beth Gustafsson, was hired in February 2014. “While three GCs in the first six months is not what I expected, it gave me a great opportunity here,” Marino says. The hiring of Gustafsson proved to be essential and a catalyst for the change that the legal department needed. Over her first few months, she evaluated the department, set the strategy, and determined the structural changes needed to best support ITT’s business model. Where ITT’s 2011 three-way split had created a strong department of seasoned attorneys, the team wasn’t optimized and aligned with the new, smaller ITT of 2014. When these structural changes went into effect in July 2014—eliminating one-third of the attorney roles—Marino and her corporate group had to step up to the challenge and assume many of those responsibilities. These included M&A activity, contracting, labor and employment, and executive compensation. At the same time, there was also an evaluation of the work being done by the HQ attorneys and the attorneys within the business units to understand where the resources were best deployed and what work needed to remain at the center. Her general counsel challenged her leadership team to evaluate their own teams and resources, while also helping define the rationale for the evolution of the department. Over the next two years, Marino built her team, bringing in external hires, developing internal talent, and determining the best approach for handling the group’s new responsibilities. In May 2016, ITT completed a major corporate reorganization (a project facilitated by Marino’s corporate team) to streamline its legal structure and facilitate future growth opportunities. Now, almost four years later and operating in a significantly leaner environment, legal support has been built out within the business units themselves. Likewise, resources have been allocated across the department in a more logical way. “The hardest part about the last three years has been managing through all of the change—managing myself and my own energy and feelings, as well as leading a team of other professionals who are also directly impacted by all of the change,” Marino says. “Seeing a number of smart lawyers, strong colleagues, and good friends leave the company has been very difficult professionally and personally.” But through it all, Marino stays upbeat and keeps her group motivated. Over the last couple of years, Marino faced hard questions from her team, who wondered how they would do all the work in a department that was a third of its former size. Echoing an operating principle that ITT’s new leadership has worked hard to drive, she answers, “We’ve got to think completely differently about our work. We’ve got to find the work that really needs to be done, reallocate, and reprioritize. It’s not going to be just you picking up another lawyer’s work who isn’t here anymore. That isn’t sustainable. It’s about transforming ourselves and re-inventing how we think about what we do.” It’s been a major shift in the department’s mind-set, as well as how they think about delivering legal services and value. Although the work may continue to shift as time goes on, at this point, Marino feels that another significant restructuring is unlikely given the team’s efficiency and focus. “But then again, I know well that the only thing that is constant is change,” she says. And in the end, the evolutions have eventually led to triumph as a century-old company continues to transform.